Lately I’ve been listening to a lot of Podcasts about productivity and entrepreneurship. While I have a goal of being fully self-employed in hopefully the not-too-distant future, fact of the matter is that I don’t know a whole lot about running a business. My family owned a restaurant until I was 19, but I was young and didn’t really care to learn about what it took to operate your own business. I never had the entrepreneurial spirit; I just wanted to go in, make my money, then go on with my life. But now that my priorities have changed, I know that in order to be successful I’ve got to learn what it takes! Between working full-time at the hotel (but only for one more week!!! ), training my clients, learning more about exercise and how to be a better trainer (because as much as I like to think I’m an expert, I know there’s still loooots to learn), planning for and taking care of the little business I do have going, and keeping up with my own training plans, my time to sit down and learn about how to run my own business is fairly limited. My recent favourites are Beyond the To Do List, Internet Business Mastery, and Robb Wolf’s the Paleo Life, just for fun. Beyond the To Do List is great for learning productivity tips and how to prioritize your tasks. It was the first Podcast I listened to, and for a productivity nerd like myself who reads productivity blogs while procrastinating at work, this was a gold mine. I found that not only was I gaining valuable life hacks for keeping my to-do list and sanity under control, but I was also inspired by hearing stories of people who are even busier than I am and are still managing to fit some down time into their lives between everything else. Internet Business Mastery is about….you guessed it! Running an internet business! I’m not even sure how I stumbled across this one, but again, I’ve received countless useful tips and motivation boosts. Hearing stories about the people who struggled and struggled to balance their day jobs with their home internet business for years before hitting their first TEN THOUSAND DOLLAR MONTH is enough to keep me running on this path! Last week I listened to an episode titled “Is Fear of Success Holding You Back?” and ohhh boy did it get me thinkin’. 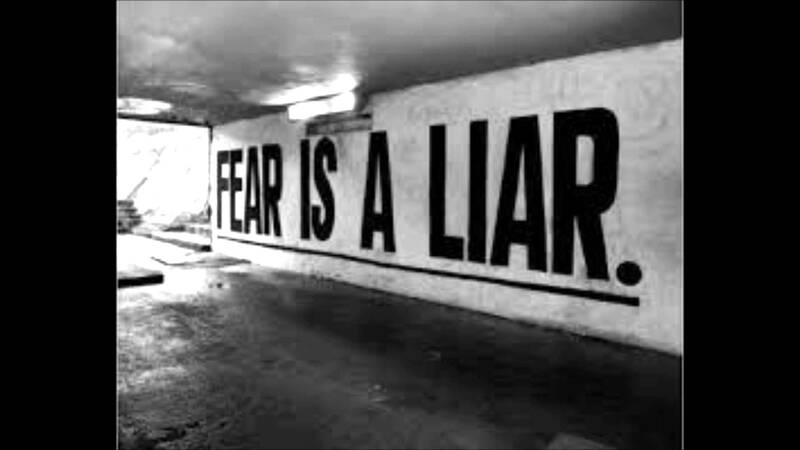 So what is fear? The dictionary describes fear as “an unpleasant emotion caused by the belief that someone or something is dangerous, likely to cause pain, or a threat”. 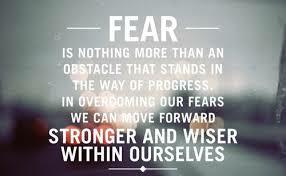 We experience fear on a daily basis in varying levels. I’ve had a lifelong fear of spiders that makes the idea of a South American jungle vacation sound REALLY unappealing, and I always have to do a “spider check” in the shower before I hop in. I experience other smaller fears, such as feeling uneasy at times while walking home from work late at night or having to speak in front of a large group. Sometimes our fears make a situation awkward or uncomfortable, such as my walks home or public speaking, and other times they place a negative impact on our lives and prevent us from putting ourselves in certain situations, such as my fear of spiders. These could be classified as phobias. But regardless of the severity of these fears, more often than not we’re aware of them. But what about those deep subconscious fears, that maybe our conscious selves aren’t really aware of? This Podcast got me thinking about those. If somebody asks you “are you afraid of being successful?” your response would likely be “hell no! Success means (insert your definition of success here)….why would I be afraid of that? !” But then why is it we avoid doing things we KNOW will bring us success? Take health for example. Let’s call my hypothetical client Jack. Jack is overweight and is feeling run-down, living a sedentary life and eating processed food that lacks nutrients. Jack’s unhappy and knows he needs to get his health in order, but he doesn’t really know where to start, so he gives me a call. After going through the assessment process, Jack and I agree on some goals and I give him some very small changes to start implementing on a daily basis. These might include things like “go for three 30-minute walks this week” and “eat vegetables with three of your meals”. Jack’s figured out in his schedule where he has time for these walks, and he’s stocked his fridge with vegetables and has some recipes ready for simple yet veggie-licious meals and snacks. He knows he’ll be going out for beer and pizza with his buddies on Friday night, so he’s even planned a vegetable-based breakfast to have that morning to make sure he doesn’t fall short on his veggie quota. Jack has taken all of the necessary steps to set himself up for success, and yet when we meet again the following week he hasn’t gone for a single walk and all those vegetables are sitting in his fridge, spoiling. I’ll use myself as another example. Despite my lack of understanding as to how to start and run your own business, I’ve collected a lot of resources and have reached out to a few people to get some help, so I’ve got a few good starting points and some tasks I know I need to complete. And yet in 6 weeks I haven’t made it past week one of my twelve-week personal trainer marketing program, and when it comes time for me to do anything with planning how to position myself I get so overwhelmed I don’t even start. Why do Jack and myself avoid doing these things that are designed to bring us success? What can come with success that’s so scary? Well first, there’s failure. The complete opposite of success. What if you try these things that are “guaranteed” to bring you success, and you get no results? It’s important to remember that despite what anybody tells you, there are NO guarantees in life. Walking for 30 minutes each day and eating lots of vegetables doesn’t guarantee Jack will lose his weight, not even close. 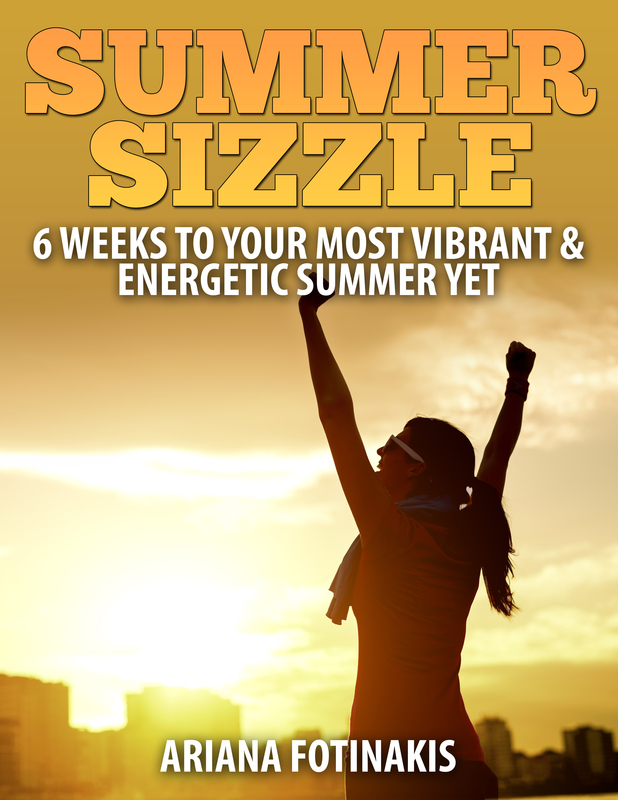 Just like I could follow this 12-week program to a T and still not have a successful marketing plan in place by the end. But were our actions wastes of time? Definitely not! Jack fed his body the nutrients it had been craving after years of eating processed junk and got his body that was so used to sitting actually moving! And I may not have a booming business after completing that program, but I’ll still have learned a lot about myself and my competitors. We both took steps in the right direction, yet sometimes it’s hard to see that when we’re only focused on the end result. Guilty as charged right here. Another reason we can be afraid of success is because we’re afraid of what comes with it. I’m pretty sure this one applies to me as well. With success comes changes to the current routine. There are new responsibilities. There’s uncertainty. There’s the possibility that it will change who you are, or that others won’t understand what you’re going through and won’t want to stick around. I think of my current situation right now with the hotel and my training. It’s not ideal and I would waaaaay rather be training 14 hours each day than spending the same number of hours split between training and the hotel. I’d way rather deal with clients crying because they can’t lose weight than people yelling at me because they want a king bed but don’t want to pay more than the $100 they paid through Hotwire for their standard queen room. And yet I still don’t sit down and do these things that I know will eventually bring me success each day. I might do some, but not all. And some days it takes A LOT of effort and coaching myself just as I would one of my clients to get started. Although I might not be 100% happy at the hotel, there’s stability which is lacking when you’re self-employed. Although I may get bored of my day-to-day tasks when the hotel isn’t busy, I don’t have to worry about budgeting and keeping track of expenses, whereas I do with my own business. And while I’ll usually go home and rant after a horrible day at the hotel, technically I do have the option of leaving work at work and forgetting about it as soon as I walk out the door. That’s not always the case when you’re self-employed. But none of this means that I don’t still want my own business. Jack’s fear of his buddies laughing at him for getting exercises and eating vegetables, or his uncertainty when trying out a new recipe, or his feelings of being self-conscious the first time he steps in the weight room alone doesn’t mean he doesn’t still want to achieve his goal of losing weight and feeling better. We just need to learn how to recognize these fears, accept them, and then act accordingly. No matter how driven we are, how determined we may be, and how much passion burns in our hearts for the things we want, at the end of the day we’re all still human and we still experience human emotions. I’ve discovered that trying to ignore these emotions and locking them away because I feel as though I’m “bigger” than them is ineffective. We need to be compassionate with ourselves and our fears and really try to understand where they come from before we can make a plan of attack for overcoming them. The Internet Business Mastery Podcasts often come with an Action Guide, which is a set of steps you can take to apply some of the things you learned. This episodes tasks were to identify the source(s) of your fears and free write every day for 20 minutes about your fear of success. So my readers, if you’re finding yourselves resisting actions you know will bring you success, whether they have to do with health goals, fitness goals, or career or personal goals, today I challenge you! Take some time to get comfortable and find out what it is you’re actually afraid of in those situations. Oftentimes it’s not what we first think, as our subconscious brain wants these thoughts to stay down there! I know my excuse is usually “well I’ve already had a busy morning and I have a busy night at work; I don’t want to burn myself out by thinking about all of these things!” but really, that’s not the case. Find your happy place, whether it’s on your couch, in a coffee shop, or outside and start contemplating. Keep track of the sources of fear you identify, but don’t do anything about them that day. Just recognize them. Then the next day begin writing about these fears for 20 minutes. Don’t worry about being grammatically correct or whether or not it makes sense. This is just for you. Write or type as the words come to your head. You might find for the first few days you’re writing things like “this is stupid I don’t know what I’m afraid of I can’t think of anything this is such a waste of time”. Or something 😉 But stick with it! Over the course of seven days those clarifying thoughts will begin to present themselves. Beginning tomorrow, I plan on doing this myself. I’ll share a few of the things I discovered, and then I’ll share my action plan for overcoming those fears. I can already feel myself being afraid of committing to this; “what if I run out of time?” “what if I discover something horrible and don’t want to share it with anyone?” But I’m going to do it anyway! How ’bout you, readers? Ever avoid doing things you know will bring you positivity because you’re afraid of the outcome? Are you afraid of failing? Ever recognized yourself of being afraid of success? This entry was posted in Wellness and tagged balance, diet, exercise, fitness, goals, health, healthy-living, inspiration, motivation, personal training, weight loss, wellness. Bookmark the permalink. « I’m A #SweatPink Ambassador!